Ahwesh’s motivation for producing film and video comes from a special investment in personalities and people. Much of her early work extended from her interest in archiving moments of private interaction; she amassed catalogs of footage, from which she pieced together a narrative. 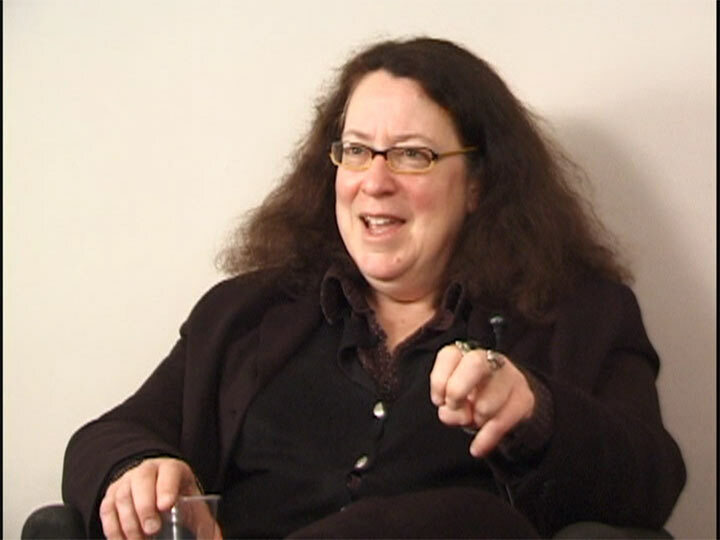 In this interview, Ahwesh provides further context for her critique of patriarchal society in such works as Dead Man Trilogy (1989-1992), the “small town” ethnographic short films, The Pittsburgh Trilogy (1981-83), and her early New York film, From Ritual to Romance (1985). She makes clear that her use of sexualized bodies is not meant to be pornographic, but is intended as a device for investigating the power dynamics of gender. Ahwesh views conceptual constructs of philosophers such as Georges Bataille, Lacan, and Freud as the anchor for this work. At the time of this interview in 2007, the artist’s most recent project focused on hypnosis and heat-sensitive camerawork, an effort she locates within her long-time interest in the brain, bodies and affect. Interview conducted by Steve Reinke in November of 2007, edited in 2014.